We take our customer service seriously and respond to all inquiries as quickly as we can. The Anchorage area is an amazing place to live and work. We invite you to search till your heart's content on this site or just email me and we will do all the hard work for you and you will just get houses that match your criteria - automatically! “Katrina was VERY tenacious in her professionalism. She was the subject matter expert for every question I had and was very thorough in her information and did not leave anything unanswered. ” Rosa R.
"Katrina Benton absolutely went the extra mile when it came to making the sale of my tri-plex work. Without a doubt, she'll be the agent I call when I sell my current home." John L.
"Katrina helped us find a bigger home for our family. She was extremely helpful and flexible with times and listings to show us. I would recommend her as a great agent." Paton S.
"Smart, hard working, understands the market, great at listening to me patiently as I tried to figure out what was just right, we looked a lot, had a couple fall through and Katrina never wavered. Really good negotiator and navigator through the whole process - loans, inspections, appraisals, etc. Katrina is great." 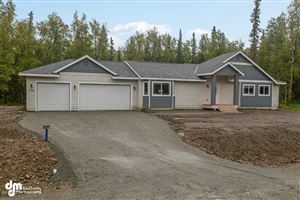 Sky S.
We have helped hundreds of Alaskans buy and sell homes over the years. Here is our online resume. We would love to help you too! Get the most accurate and up-to-date real estate information right at your fingertips! Download the Keller Williams Realty Real Estate Search app for Anchorage AK to your mobile device for great features like customized searches, map draw, agent connection, and shareability! Estimate your home loan with a free mortgage calculator. All content on this site is Copyright © 2013 Katrina Benton. Please don't steal.